1. Yamazaki and Hakushu (Suntory) have several stills which are formed in diferent shapes. 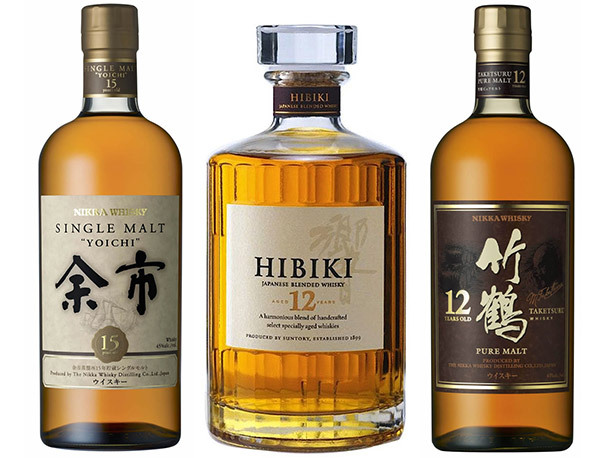 This makes the Suntory able to create many styles and you can argue that there is no real distillery style from these distilleries, apart from what the blenders present to you. 2. Japanese distilleries don’t work together. Japanese blends use their own malts and grains or foreign whisky as a general rule. 3. Distilleries with no grain distillery tends to look for Canadian grain for blending. 4. Eigashima uses Shochu, a japanese pot distilled spirit as a component for one of their blends. This is grain based and matured. Shochu is not necesarily grain based and usually not matured.